Bahrain-Merida has confirmed the signings of Phil Bauhaus and Marcel Sieberg. The Germans are set to bring their experience and talents to the team. Bauhaus is considered one of the most talented young sprinters in the peloton. "Phil is a rider whom we at team Bahrain-Merida consider one of the most promising sprinters in the professional peloton," said team's General Manager Brent Copeland. "He is a rider that we have been considering closely for the past year and, therefore, we have put a lot of time investment to make this decision as we truly feel his future as a sprinter is something that will surprise the professional cycling world in the near future. We welcome him to the team and looking forward to a strong and good future together. Sieberg is considered one of the best lead-out riders for sprints. 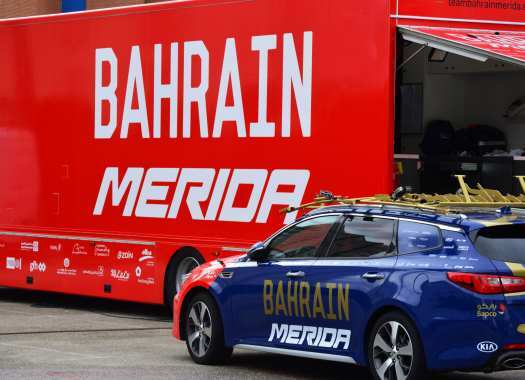 "Having Marcel as part of team Bahrain Merida means bringing the wealth of experience, both on and off the bike, he is a rider who can bring an incredible amount of knowledge to the younger riders on the team," Copeland commented. "His presence is something we are counting on immensely, especially for the lead out train for Phil Bauhaus, as we believe in his experience, has been a crucial part of this area on the team. Marcel has worked with the best riders in the world and we rate him as one of, if not the best, lead-out rider for a sprint train, we are definitely excited about getting this working relationship going." Bauhaus makes the move after two years in Sunweb. "I’m really looking forward to joining Team Bahrain Merida and I already feel that they believe in me with the project we are planning together. Together we can have successful years." Sieberg starts this new episode of his professional career after being for eight seasons in Lotto Soudal. "I‘m really looking forward to the next two years. It’s like a new beginning for me. Team Bahrain Merida is a great team with a lot of potential and I hope that I can help to make the team successful with my abilities."